If you care about your vehicle performance and safety, one important system you should pay attention to is the drive axle & cv joint. The engine in your vehicle works hard to provide power, and it is the drive axle & cv system that sends that power to your wheels, allowing you to move. If this system cannot keep up, you are losing out on performance and risking your safety. Thankfully, the knowledgeable ASE Certified professionals here at University Chevron are here to help. 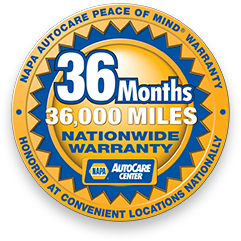 We’ve been providing dependable auto service with great customer care for over 38 years. Stay safe on the road and get the most out of your vehicle when you call, stop by, or schedule an appointment online now.